Busted! 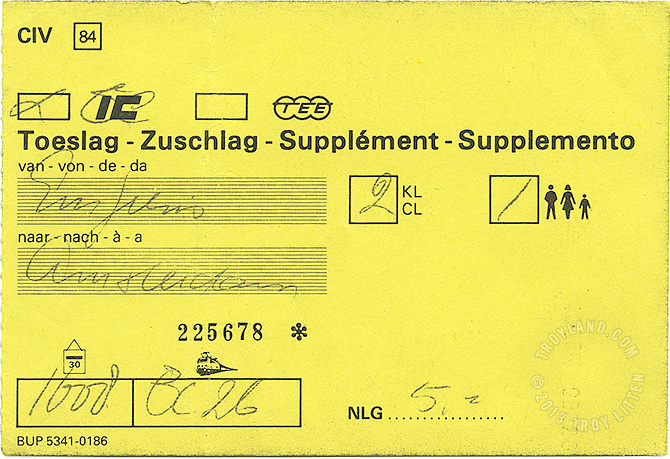 An on-board 5 NLG ticket for jumping a class with a Eurail pass on a train to Amsterdam in 1987. Better to ask (pay for) forgiveness than to ask permission.